Tip to posting an appealing project! Categories: You can choose more than one. Title: Something that will attract top freelancers. Describe: What’s your timeline? What qualifications are you looking for? Attachment: What does the finished project look like? Or a similar reference sample can be helpful. Skill: What specific skills are needed for the project? Budget: What is your project budget? 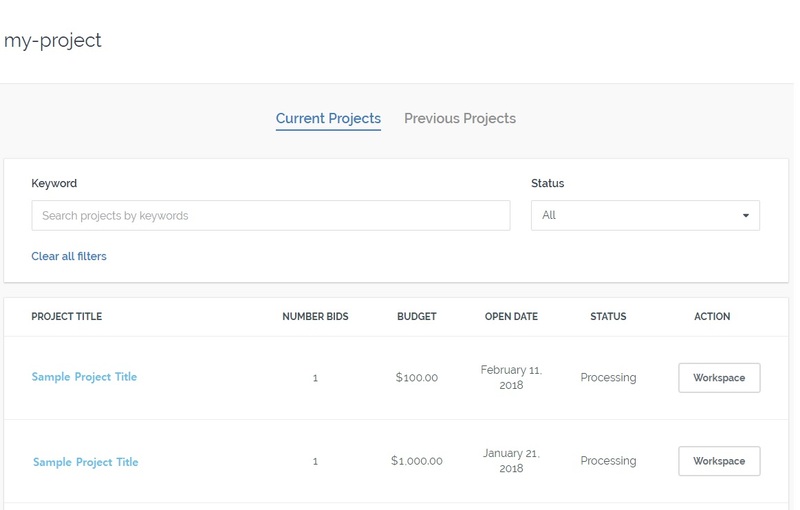 After you submit your project, you will be able to view it in your Project History You can see who has bid on your projects and be able to send messages by clicking Contact, before you Accept a Bid (=start project). You can easily find a Freelancer who has the talent to meet your specific needs. You can invite them to bid on your project! You can evaluate freelancers by reviewing their profile. Find the perfect freelancer for your project! Choose Your Desired Freelancer to Start Your Project. 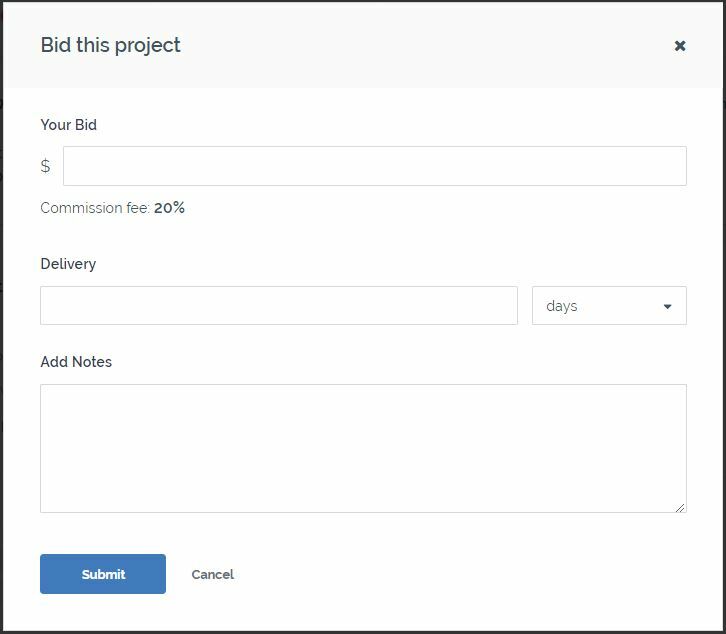 By clicking Accept Bid, your project will start under the chosen freelancer. 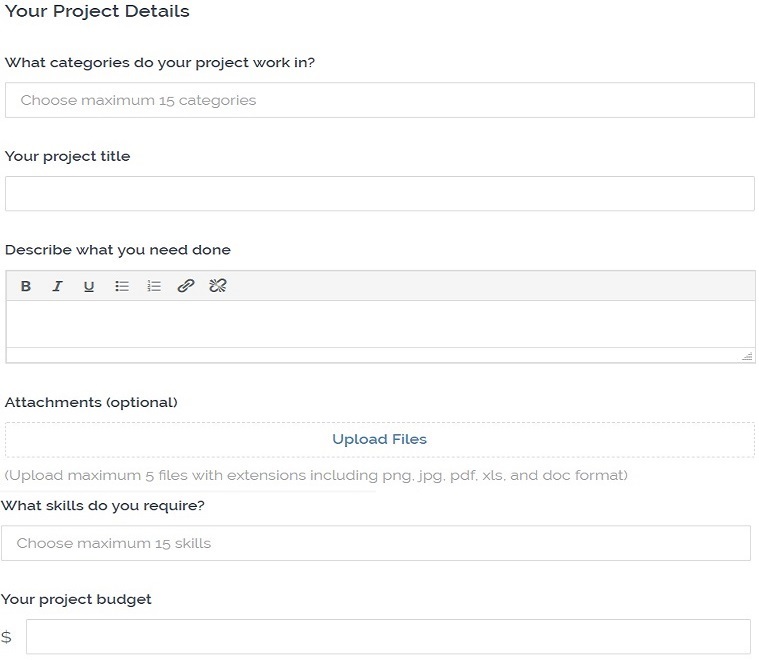 You can chat and share files with your freelancer via chat or message. 3 Components of a Successful Start! Tip! Make sure freelancer understand the scope of your project to prevent any future hassles. Only Pay for the Work You Authorize. FreelancerTank safely secures your fixed price for the duration of the entire project. On a fixed price project, use our licensed escrow service to release funds when the project is finished. We securely deliver payments to freelancers. 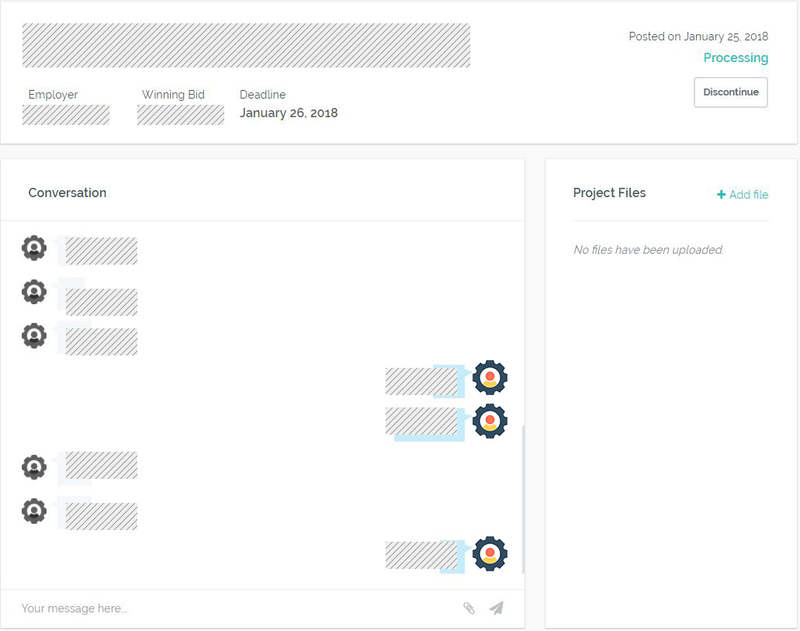 Finish: By clicking Finish, your project will be marked as completed and will release pay to the freelancer. Make sure the project is completely finished before you click Finish! Note: Your review and rating will affect the freelancer's reputation. Close: Dispute/cancel project. Freelancer Tank will be invited for arbitration. 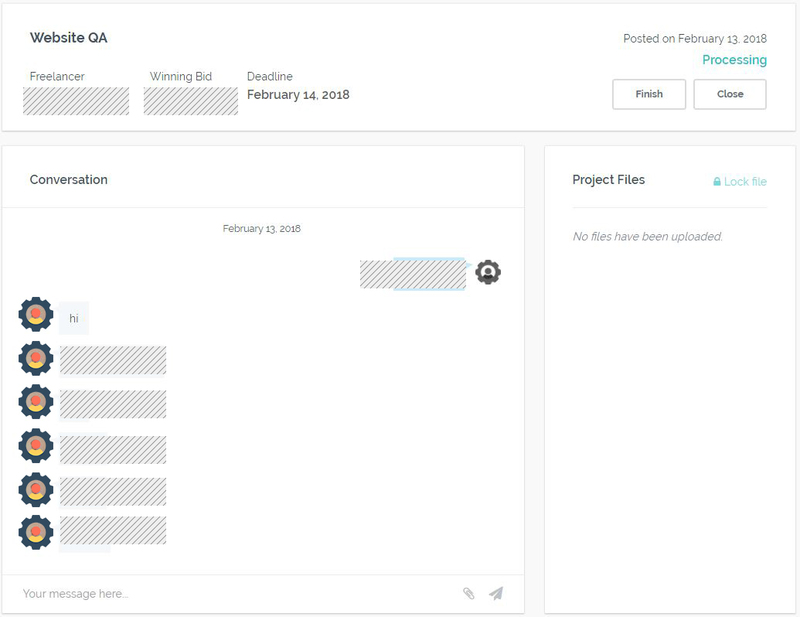 By clicking Close button, the project will be marked as in dispute and your case will be reviewed quickly by admin. Please provide as much proof and a detailed statement explaining why you cancelled the project. *You will not be responsible for filing a 1099-MISC form for your freelancer. Our escrow service is a third-party payment network. When you make payments through our third-party payment network, Form 1099 reporting becomes our responsibility, not yours. Specifically, we are obligated to report payments to independent contractors on Form 1099-K when applicable, which means you should are not obligated to report a 1099-MISC Form. Before you find a project to make money, Create your Profile as a freelancer. Completely fill out your Freelancer Profile as it will be more attractive to potential clients. We highly recommend that you attach work samples on your profile. Your journey starts by creating a great profile and submitting a compelling job proposal. *Freelancers (U.S. Persons who are eligible to work in U.S) must submit EIN/SSN# to start. Freelancers must fill out a W-9 Tax Form on their profile in order to get paid. If EIN/SSN# that you submitted is invalid, we must place a hold your account and you will not get paid for any future projects. Then, search all job categories and to available projects. Once you find a project that seems to be a great fit for you, bid on the project! Let’s Make Money on FreelancerTank! 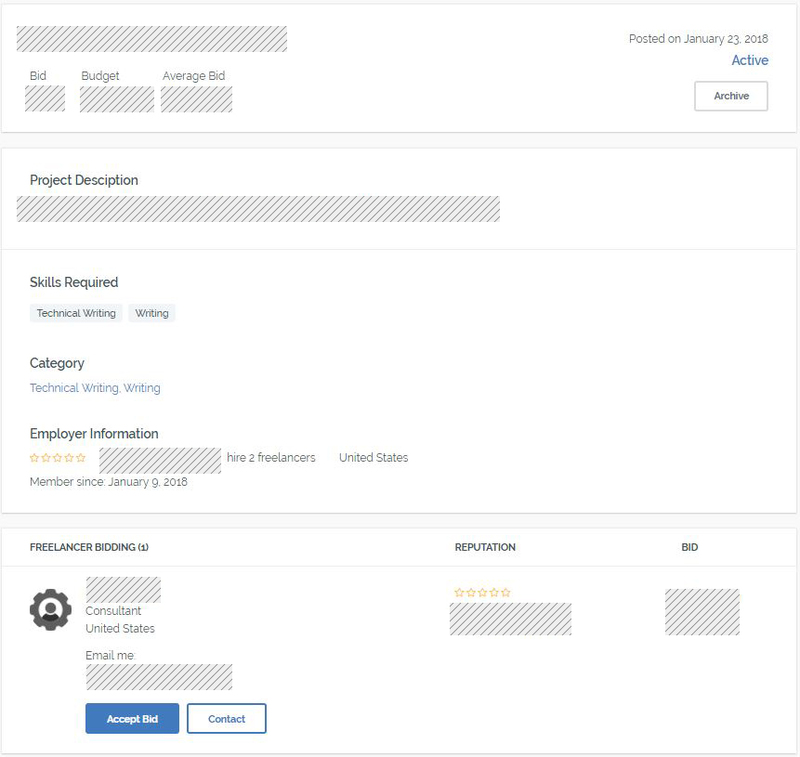 FreelancerTank makes it easy to connect with clients and start work with profiles, portfolios, ratings, and reviews! Once you find a project you like, here's how to submit a Bid! Write an introduction to the client with a bid price and delivery date - most freelancers take this opportunity to tell the client why they should work with you on this project. You can't edit this letter after submission, so proofread it carefully. Wait for clients to respond! Clients can also send invitations to Freelancers to work on their projects. Once you get chosen by a client for the project, you can chat with client freely. Send and receive files while sharing feedback via chat. Tip! It is very important to know the scope of the project and confirm deadline dates before you start a project with a client. Able to deliver excellent work on time. Every. Single. Time. Deliver Work On Time! Your client is responsible for releasing funds from escrow upon approval. The greater success you have on projects with good reviews and stars, the more likely you are to get hired by other clients who use FreelancerTank. 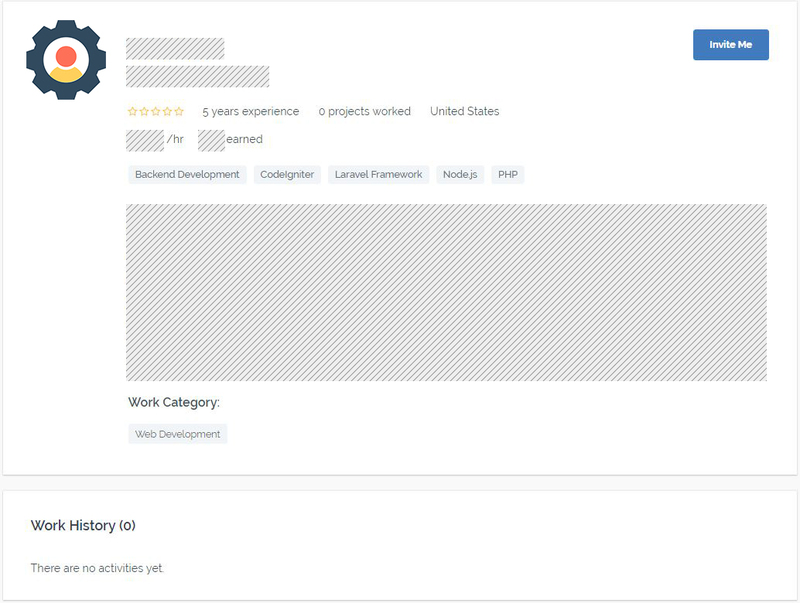 What if I get hired but cannot take on the project? By clicking Discontinue, the project will be marked as in dispute and your case will be reviewed quickly by admin. Please provide as much proof and a detailed statement explaining why you discontinued the project. Once a Freelancer completes a project and the Client authorizes payment by clicking Finish, 20% of the Freelancer’s payment will be deducted and paid to FreelancerTank. Fixed-price contracts are not billed to your client. This is covered by FreelancerTank’s Payment Protection. The client makes a deposit into our Escrow system and released to you once the project upon completion of a project. However, no escrowed funds can be returned to the client until the contract is complete. If not, the project must go through dispute mediation. *To Freelancers: All freelancers must be classified as U.S. Persons (who are eligible to work in the U.S.) must submit a W-9 Form to FreelancerTank at sign up. This is so that our Escrow system can accurately report on Form 1099-K.
1. What type of projects can be done on FreelancerTank? Any type of project that can be processed via computer can be done through Freelancertank. FreelancerTank works for Clients who need designers for an online jewelry shop, a web developer for a logistics company website, or a mobile app developer. FreelancerTank will support all skills and businesses. 2. Does FreelancerTank have an age limit to join and work as Freelancer? To register for an Account, you must be a legal entity or an individual 18 years or older who can form legally binding contracts. 3. How does FreelancerTank make money? When a Client pays a Freelancer, FreelancerTank will receive 20% of the payment from Freelancers. 1. How can I get a Freelancer started on a project? Clients have the option to choose from multiple bids after reviewing each Freelancer and their credentials. 2. What is the next step, after signing up for FreelancerTank? Fill out your payment information and profile. Then, you can proceed to post your project. 3. How do I pay my Freelancer? 4. Do I have to pay to post a project? No, it is free to post a project. You can post any project on FreelancerTank for free. 5. How can I choose a Freelancer? 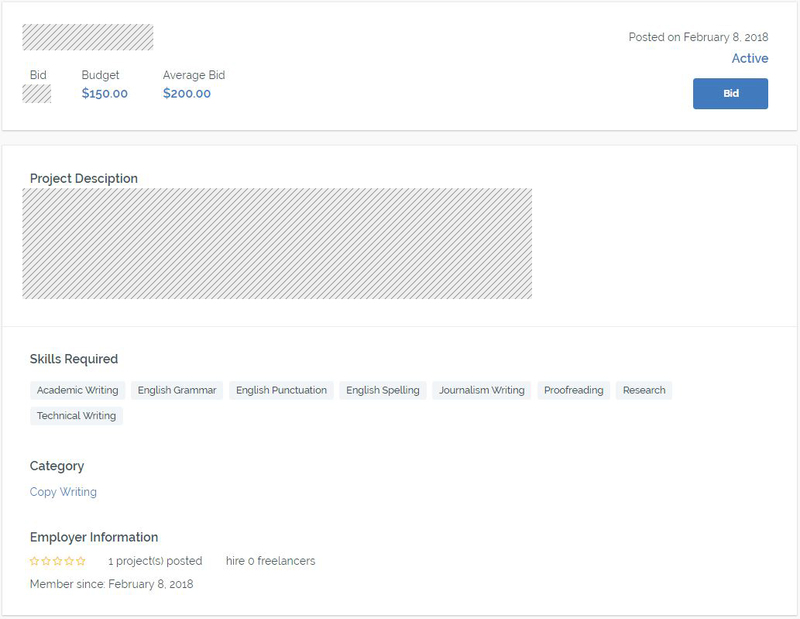 If you have more than one Freelancer bidding on your project, you can choose one Freelancer by clicking the Accept Bid button next to the Freelancer’s profile. 6. Can I get a refund on a project? No, all completed projects are non-refundable. However, if there is a situation between a Client and Freelancer, admins will consider refunds pending further review. 7. How do I make sure that my project is a success? Start by writing a clear project description. Briefly describe your needs and keep and open contact with your Freelancer by using Contact. 8. Can I get an official invoice? No, FreelancerTank will have no responsibility of or for issuing any formal invoices. 9. Can anyone leave a service evaluation for a Freelancer? Service evaluations can be left by the client who purchased a Freelancer’s services. Members who have not done with the Freelancer will not be allowed to leave an evaluation. 1. If I am not a U.S. Citizen, can I work as Freelancer? If you have a SSN (Social Security Number) or an EIN (Employer Identification Number), you can work as Freelancer. You must be eligible to pay taxes in the United States in order to use FreelancerTank services. 2. How do I receive money from a Client? 3. Are there any fees? Once a Freelancer completes a project and the Client authorizes payment to the Freelancer, 20% of the Freelancer’s payment will be deducted to FreelancerTank. 4. When are project due? It depends on your project. Freelancers should negotiate with Clients/employer about due dates and any pertinent fees. 5. Can I upload videos on my portfolio? Unfortunately, you cannot upload any videos to your profile. However, you can insert a link/URL to your specific video. 6. Why should I freelance through FreelancerTank? Safety - Using our Escrow System, we will protect your money transactions.